Save $1.50 on any Nature’s Bounty Product with this printable SmartSource Coupon. 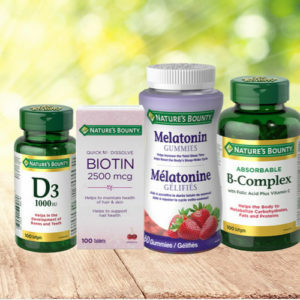 For over 40 years, Nature’s Bounty has been making vitamins and nutritional supplements with you in mind. You take vitamins because you want to help your body to be at its best – so why settle for just any vitamin brand. Try Nature’s Bounty today.